Exceptional corporate entertainment is no laughing matter. Tom partners with event planners, businesses and organizations to deliver a show worth raving about. Personalized Performance: from the complementary consultation through the after-event buzz, your success is all that matters. Total Audience Engagement: razor-sharp improvisation and audience participation meld together to entertain and energize your group. Memorable Moments: designed for your audience, generating roars of laughter that result in glowing reviews. 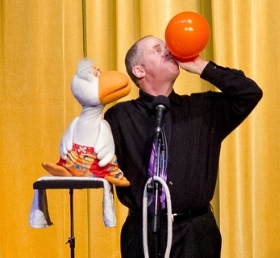 Tom Crowl is a high-energy comedian and ventriloquist who brings over 30 years of professional entertainment experience into each new performance. Tom is often recognized from his appearance on NBC’s Last Comic Standing as well as his performances at corporate events, associations, theaters and resorts around the world. Tom has been the featured opener for recognized celebrities and high-profile acts including The Drifters, Chubby Checkers, Rodney Atkins, The Marvellettes and The Diamonds. He’s been the preferred performer for events hosted by Coca-Cola, Armstrong, Oxy Permian, the National Association of Postal Supervisors and the Strathmore Foundation. 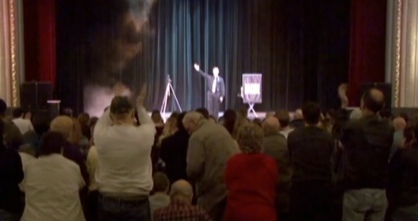 He has also received accolades for his shows at resorts from Cancun to West Virginia and New York. Your event deserves a corporate entertainer that will keep your guests laughing and make them the stars of the show. Contact his office today to discuss your entertainment needs.